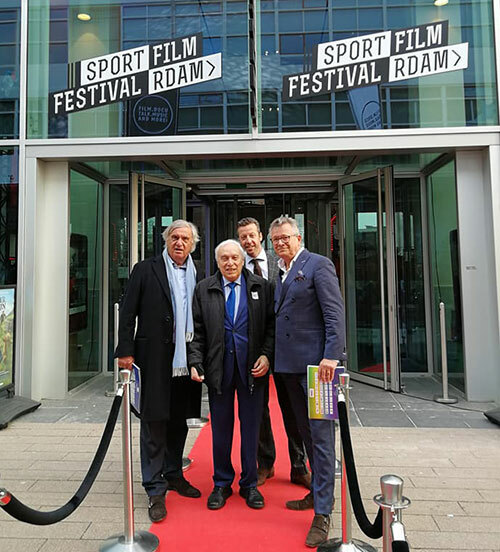 FICTS President Prof. Franco Ascani officially opened (on April 11) the fourth edition of the Sport Film Rotterdam – International FICTS Festival in progress in Rotterdam (Netherlands) at the Lantaren Venster Cinema. The event, organized by the Topsport Rotterdam (chaired by Dr Hans den Oudendammer) as part of the International Circuit “World FICTS Challenge”, is articulated into projections (30 videos from 15 Countries), Exhibition and Meetings. During the Festival, in the within of the “Olympic Images E-Motions” Program promoted by FICTS in agreement with the Olympic Foundation for Culture and Olympic Heritage, were shown the official films of the Olympic Games: “Days of Truce” (Conspiração Filmes, Brazil) directed by Breno Silveira on Rio 2016 (Wednesday 11 April) and the documentary on Tokyo 1964 “Tōkyō Orinpikku” (Saturday 14 April) directed by Kon Ichikawa. At the end of projection debates on Olympic-themed, conducted by Wilfried de Jong together characters of sport and television as well as Olympic champions. 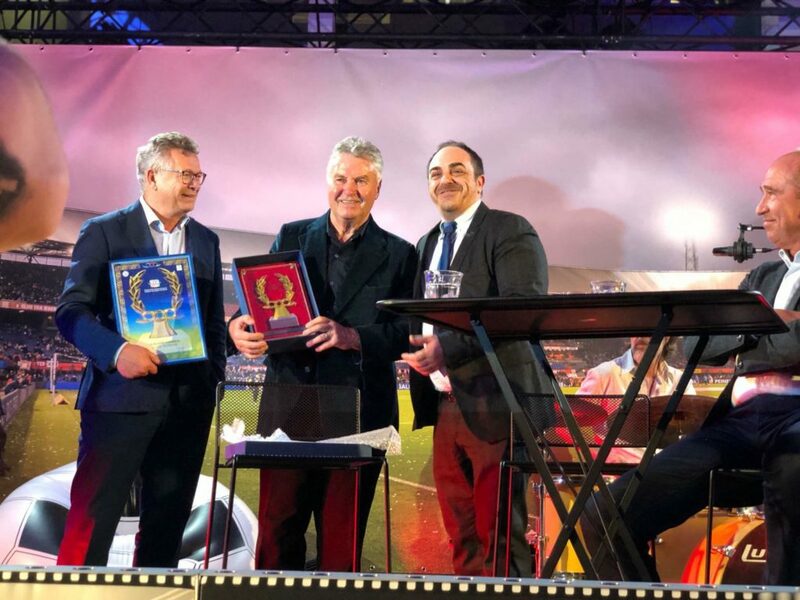 FICTS President Prof. Franco Ascani awarded with “FICTS Diamond d’Honneur” President of NOC Netherlands (former hockey player competed at the 1972 and 1976 Summer Olympics) who competed at the 1972 and 1976 Summer Olympics (where was flag bearer for the Netherlands). Guus Hiddink Dutch football manager (Chelsea, Real Madrid, PSV Eindoven, besides the national football team, among team who trained) attended at the premiere of the documentary “Hoe Zuid-Korea Guus Hiddink veroverde” (http://sportfilmfestivalrotterdam.nl/programma/) on the South Korean football team led by Guus Hiddink who managed to bring the Asian team in fourth place in the 2002 FIFA World Cup Korea/Japan. At the end of projection FICTS General Secretary Enzo Cappiello awarded with the “Guirlande d’Honneur” Guus Hiddink. 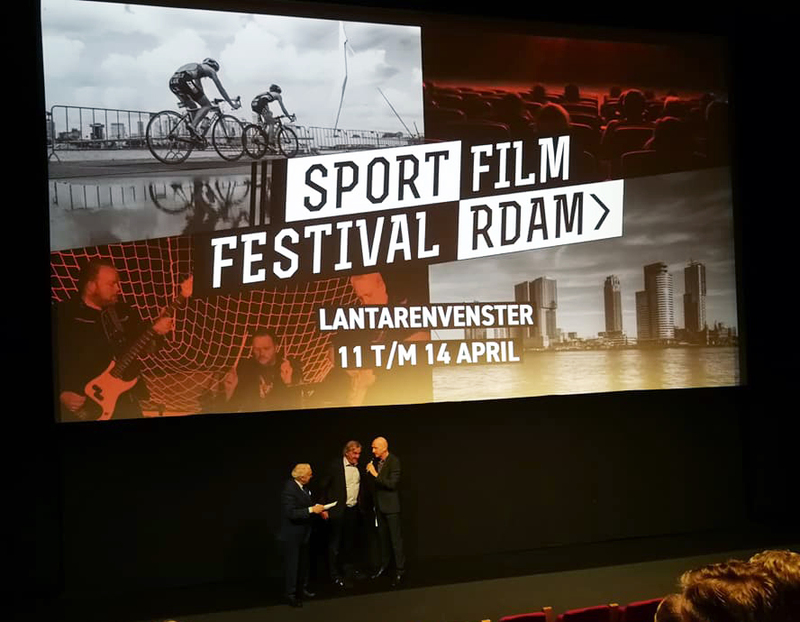 The Lantaren Venster Cinema, on Saturday April 11, will host the “Awarding Ceremony”. The winners of the Festival will compete into the Final “Sport Movies & Tv 2018” scheduled in Milano from November 14-19. Media partners of the event are: AD (national sports daily), RTV Rijnmond (local TV), Andere Tijden Sport (Dutch TV), Sportnext and Open Rotterdam (online platform) and Helden (sports magazine).